The Ready Built Security Apex range provides a great level of protection for your valuable items. 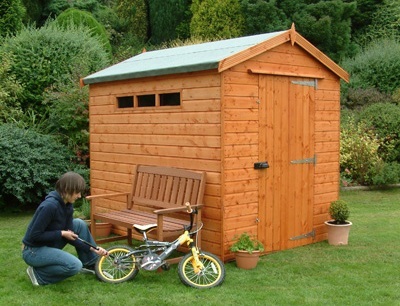 This range of security sheds are safe, secure wooden sheds with standard features that include 50% more framing, a heavy duty fully framed door, padbolt protector and internally bolted hinges and security windows. Available in all 10 different door positions.